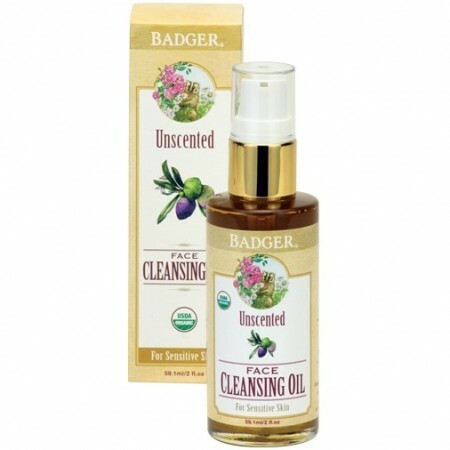 Badger's Unscented Cleansing Oil gently cleanses and soothes your senstive skin. Castor and Apricot lift impurities, Calendula reduces redness and irritation, while Olive and Sunflower replenish essential vitamins, fatty acids, and lipids - leaving your skin feeling clean and balanced. Gentle, soothing cleanser for sensitive skin. 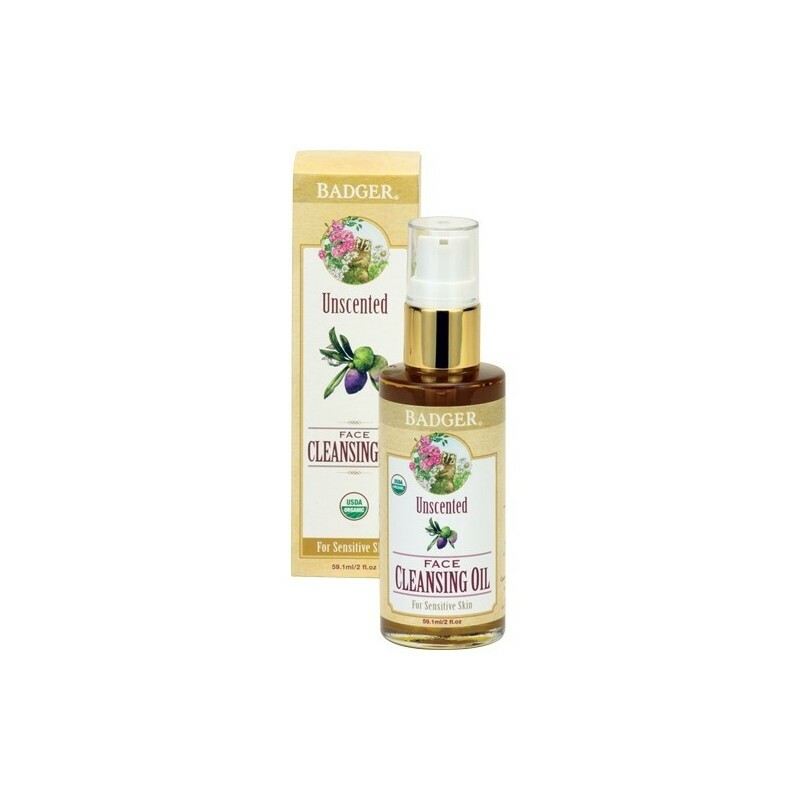 Dissolves makeup and removes impurities. Calendula reduces irritation and redness. Olive and Sunflower replenish essential vitamins, fatty acids, and lipids. Clinically tested hypoallergenic and non-comedogenic (meaning it won't clog pores). 59.1ml (2oz). 12.5cm height x 3.5 cm width. Unscented Face Cleansing Oil Ingredients:*Helianthus Annuus (Sunflower) Seed Oil, *Olea Europaea (Olive) Fruit Oil, *Ricinus Communis (Castor) Oil, *Prunus Armeniaca (Apricot) Fruit Oil, Tocopherol (Sunflower Vitamin E), *Calendula Officinalis(Calendula) Flower Extract.